Shenzhen Dotcom Houseware Products. Co., Ltd.
Use: Heav traffic entrances both indoor or outdoor areas. 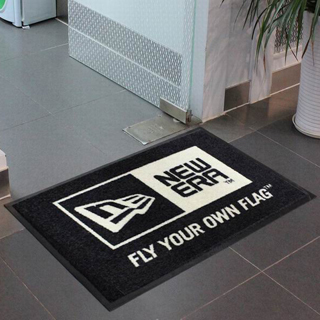 · These mats are available with either a heavy-duty rubber border or a matching fabric border for a softer look at no additional charge. · Easy to clean, simply use a vacuum, extraction cleaning methods, or hose off and hang dry. Excellent way to enhance your corporate image. Ideal for high-traffic areas, good water absorption. Eco-friendly, comply with REACH and CPSIA. No color limitation, we can do any color you need. Use to show off motorcycle, increase comfort when working around the motorcycle. Protects floor from corrosive road chemicals. Supplier to KTM & O’Neal in the past 5 years. 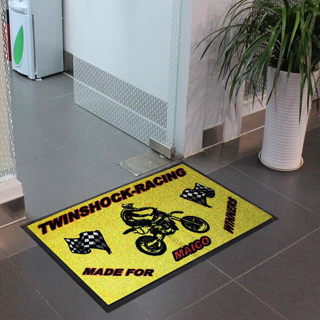 Probably the ONLY supplier who can provide the full range of motorcycle mat. 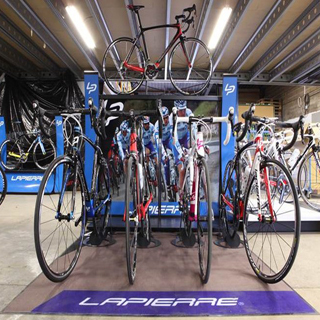 Use to show off your bike, increase comfort when working around the bike. Can be printed with your logo, great ideal to enhance your image. Popular sizes: 40x180, 80x180cm, etc.., custom size is also available. 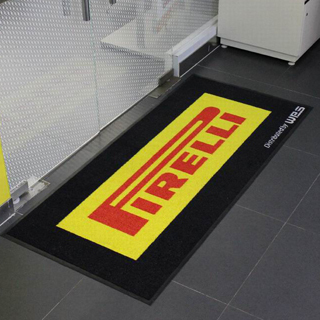 Combining beautiful logo designs with floor mat function. Attract customer’s attention, increase your sales amount. 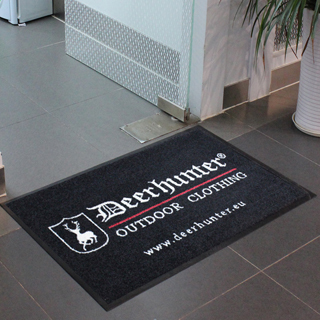 Ideal for promotion or use at the entrance of your shop. Different pile options to meet customer’s budget. Printed with size chart, help customer to choose the right size easier. Improve shoe shop’s working efficiency. Can be printed with your logo to enhance your cooperate image. 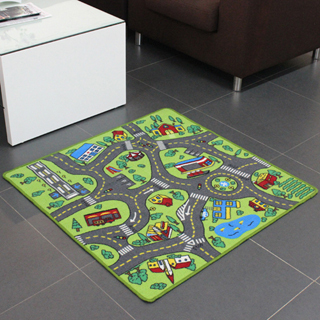 Standard size is 60x90cm (2’x3’), custom size is also available. Printed throw lines for steel tip and soft tip. 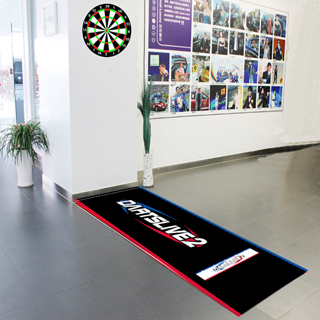 Protects darts from floor damage, widely used in KTV & bar. Can be printed with your logo to enhance your image. Supplier to Dartslive for more than 5 years. Popular sizes: 90x221, 90x275cm, etc.., custom size is also available. 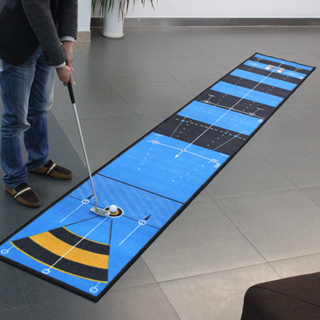 The closest golf mat to grass, very popular in golf industry. ChromoJet-printed to display your own design vividly. 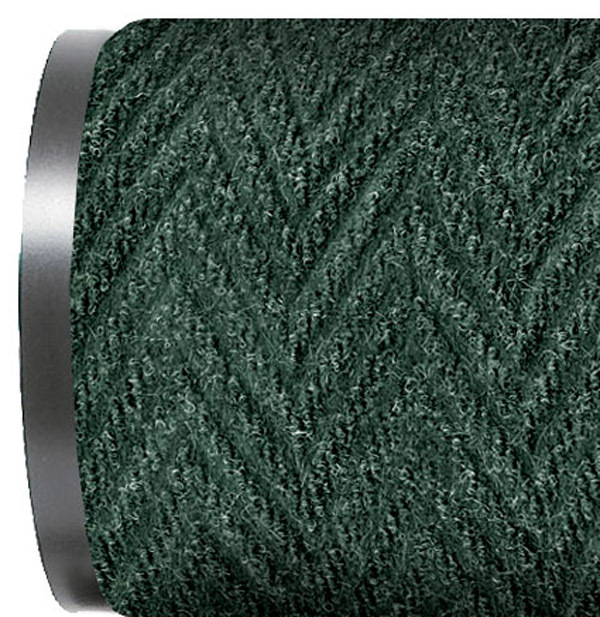 100% nylon surface to make the golf ball move like on grass. 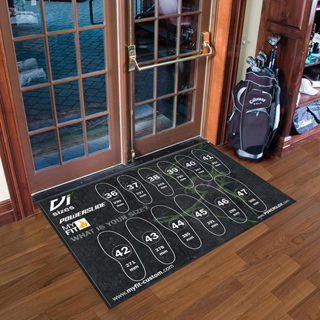 Perfect to use throughout your home or the place where you practice golf. Easy to carry, can be rolled into a bag. Can be printed with your favorite team’s logo. Show your loyalty to your favorite team. Can be used in your stock to show your products to customer. 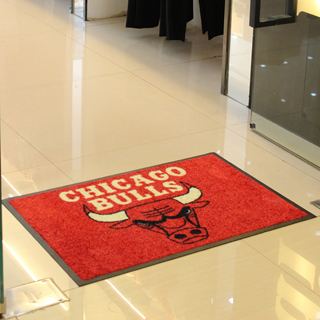 Can be used at the entrance of your shop. Perfect gift to children for birthdays or just for fun. Country road, alphabet, cartoon, numbers are available, ideal for education. 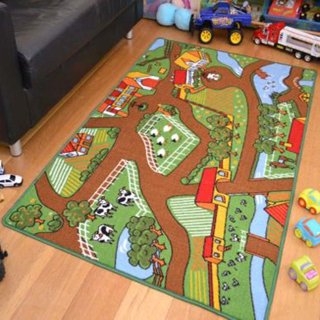 Can be used in kids’ room and kindergarten. Safe to children, can pass Oeko-tex 100 and CPSIA test. Die-cut shape is also acceptable. 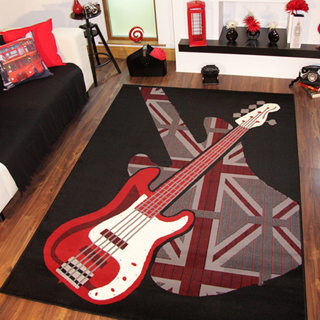 Nylon Area rugs are akin to artwork for your floors. They come in an endless array of patterns, styles and shapes, with options to match any décor. · Maximum color on one mat is 12. · Maximum width is 400cm. · Easy to clean, shake or vacuum to remove loose dirt. Very soft microfiber pile, good water absorption. Unique design for your bathroom. 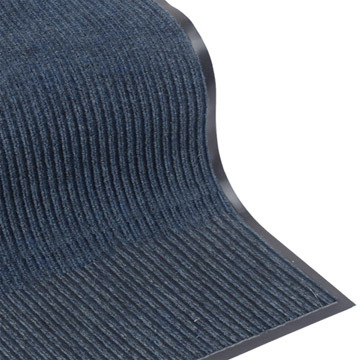 Chevron Entrance Mats feature a multi-directional raised rib pattern which works hard to brush debris from shoes regardless of traffic flow. 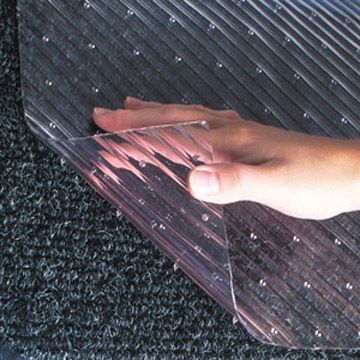 • 100% vinyl backed and bordered floor mat helps to reduce mat movement, especially on hard surfaces. 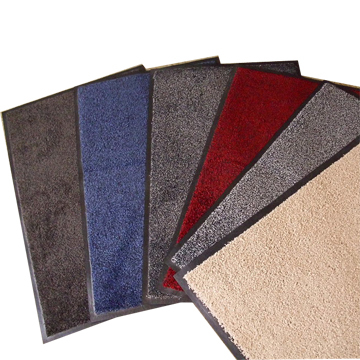 • Dirt, debris and moisture gets trapped in the trenches of the mat and stay off the surrounding floors. 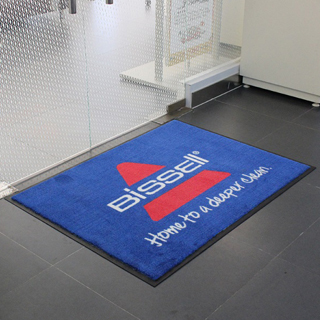 • This entrance mat is best suited for moderate traffic, indoor environments. • Easy to clean by vacuuming, extraction or hosing down and hanging dry. 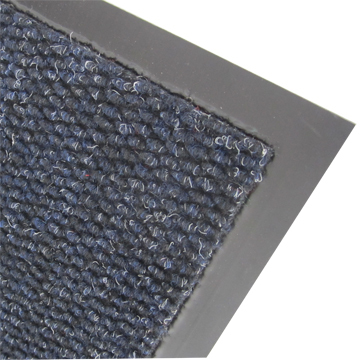 · Like all of our polypropylene matting, Super Berber matting is long wearing. · It can be used indoor or outdoor. 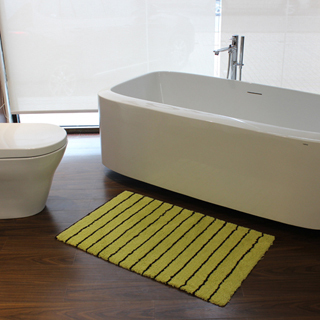 · Easy to clean, it can be vacuumed, steam cleaned or hosed off. · It can be cut at any angle without danger of the edge unraveling. · Available with a smooth backing for recessed application or knob back for free lay application. 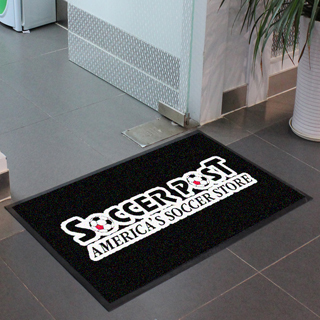 · Custom sizes are available with a high profile vinyl edging applied to all sides. · Maximum width is 200cm. 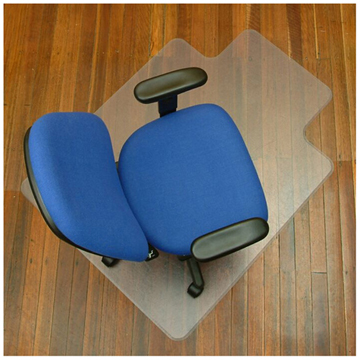 Chair mats provide both comfort and floor protection. 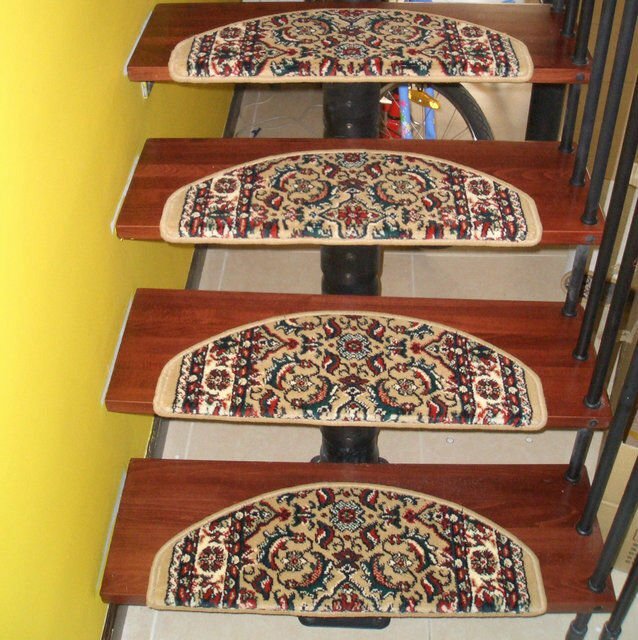 Dandy Carpet Protector ,vinyl runner . Each quality mat comes with an ultra absortent soft nylon pile that lifts wet, dry and even greasy dirt from shoes, wheels and paws. Highly absortent fibers are specially designed to get deep into the crevices of shoes--making it No. 1 solution for home, garden and office use. 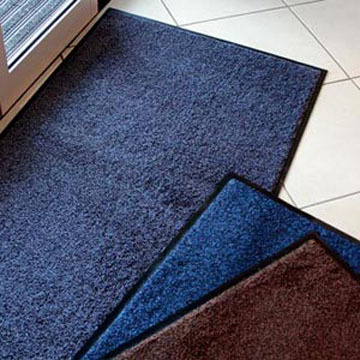 These mats can be easily cleaned with hoover and are machine washable at 30 degrees. Available in many colors and sizes to meet different demands.